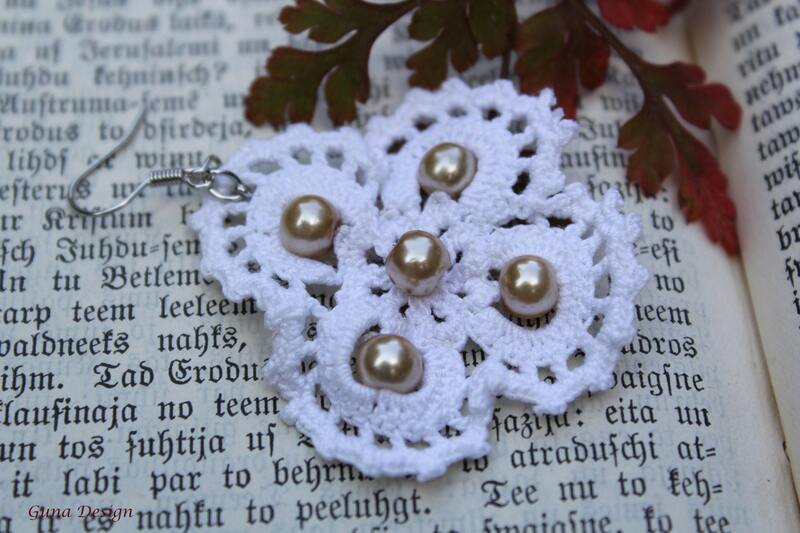 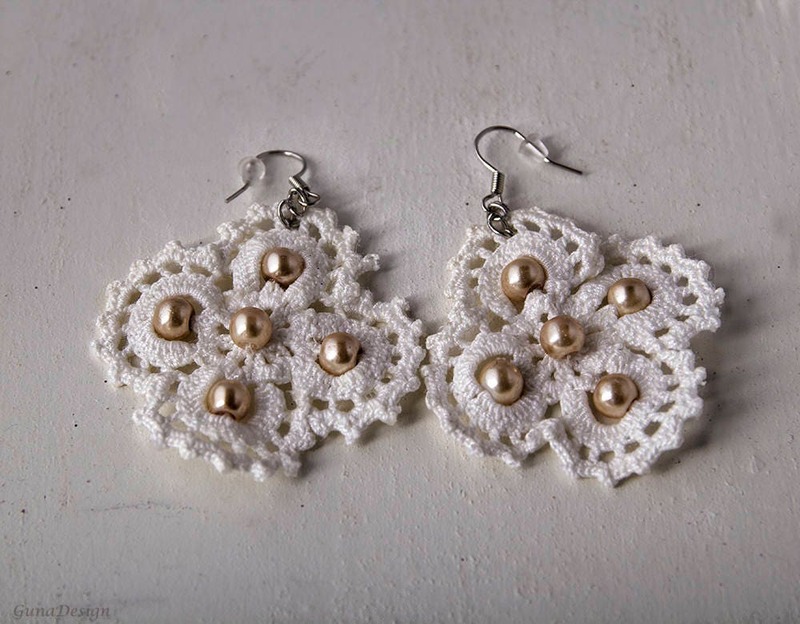 White crochet lace flower dangle earrings from cotton yarn decorated with beads. 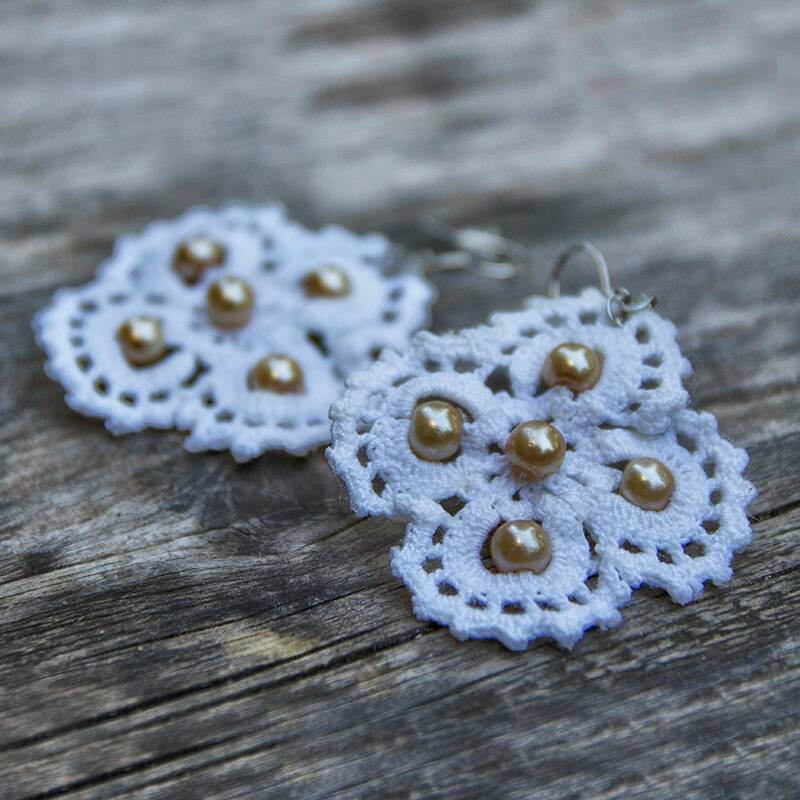 To give extra body to the earrings, they are covered with non-allergic water base varnish. 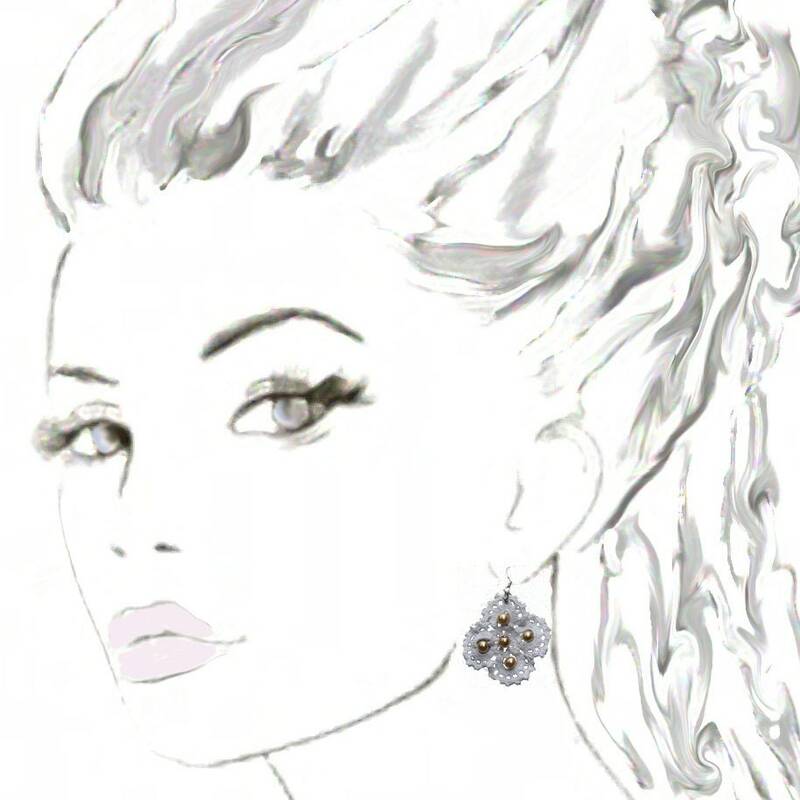 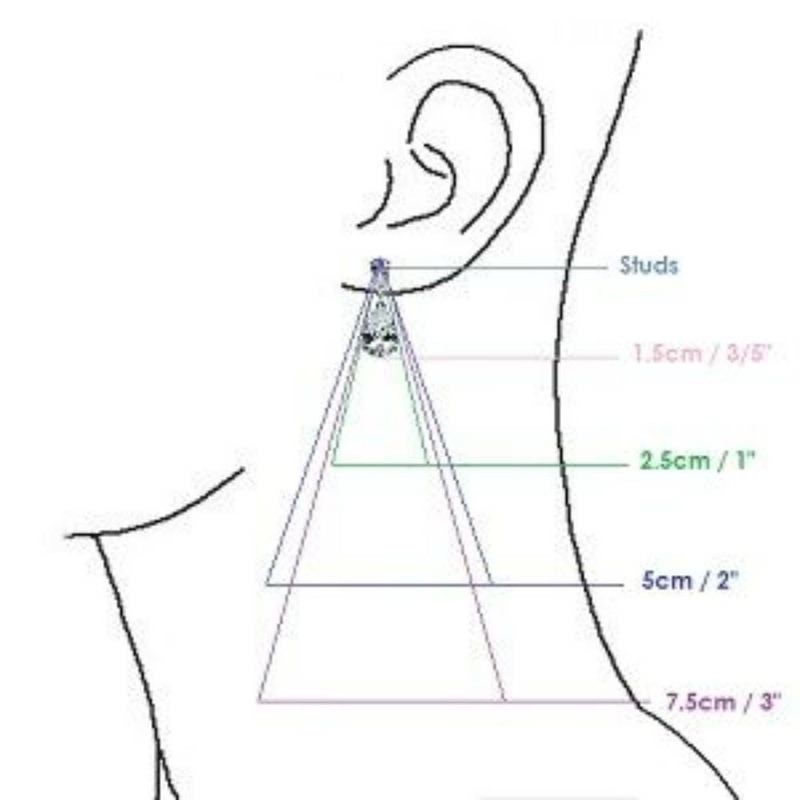 It also will protect the earrings from the environmental impact as moisture. 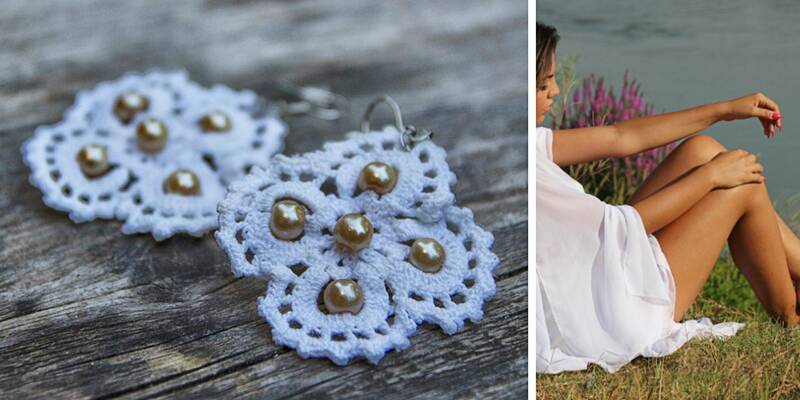 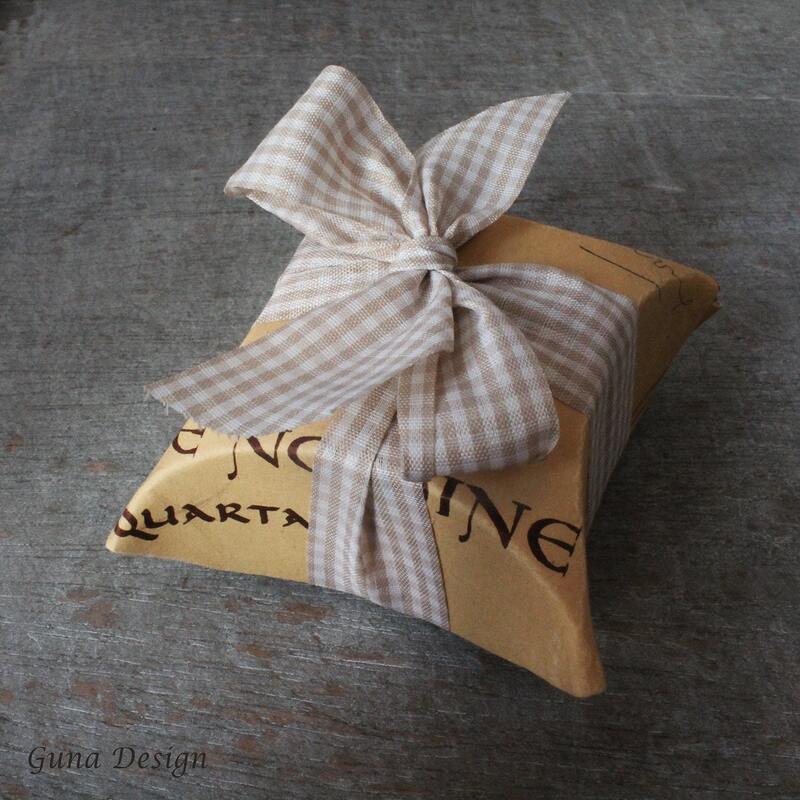 Great vegan jewelry, accessory for weddings, bridal showers or a simple garden party. 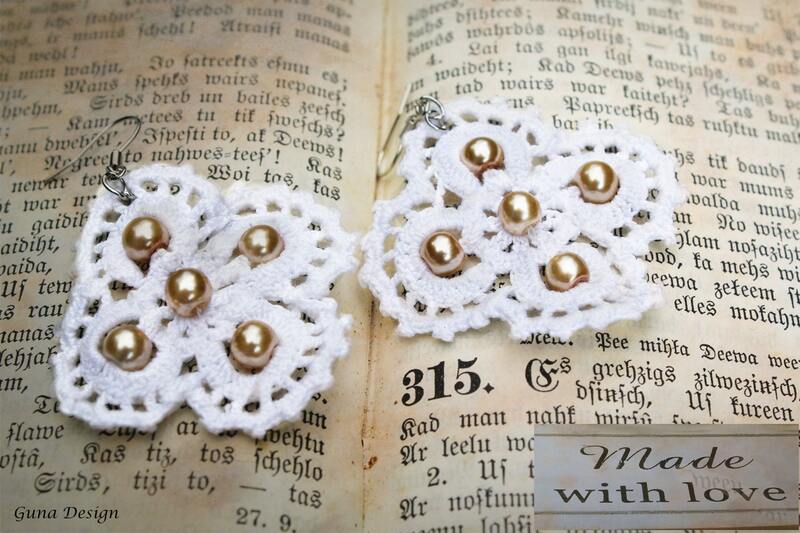 Earring hook- nickel free. 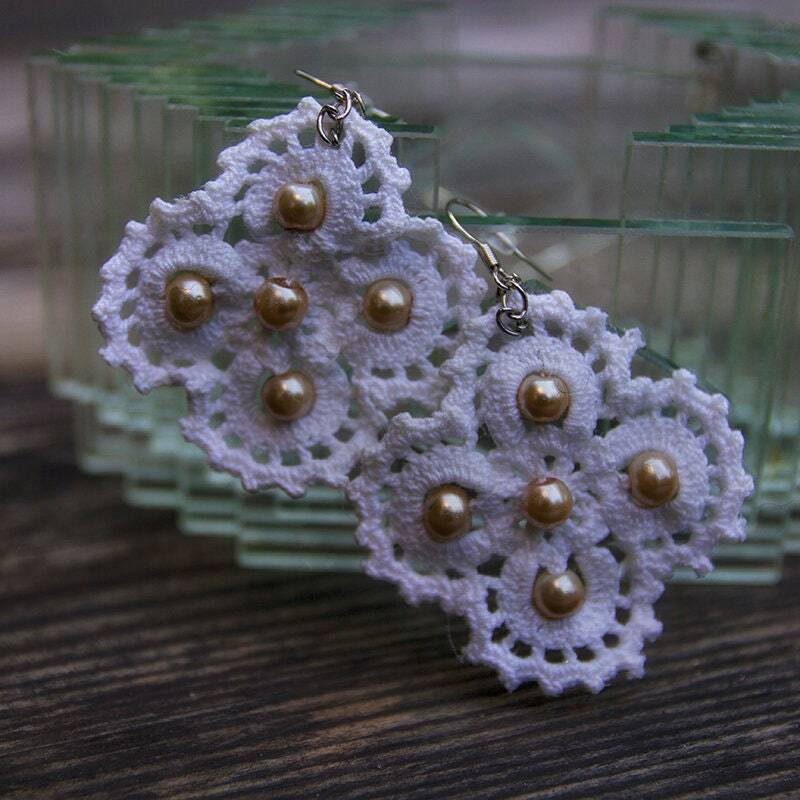 Great alternative for expensive wedding jewelry. 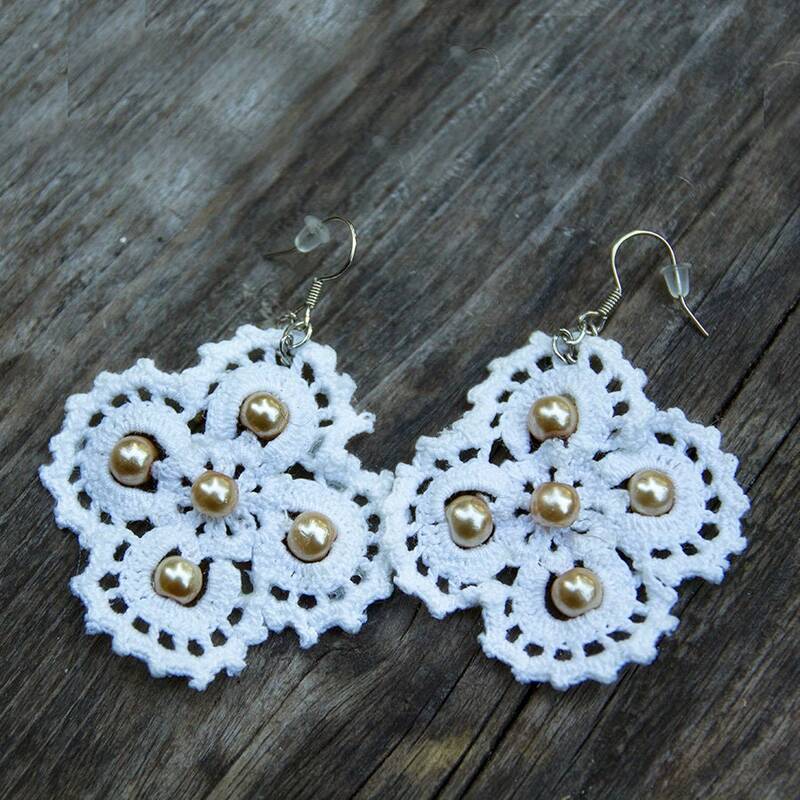 In case you need several pairs of earrings for the bridesmaids, please contact me for customized order.For the custom made order I need about 1-2 weeks.